Available in a range of sizes from 7” to 16”, the white round pile cap is one of the most popular choices among top marinas. Clean, streamlined and easy to install, white round pile caps are a super convenient solution to keep you pilings looking great. Available in a range of sizes from 7” to 16”. For the easiest, most convenient way to protect your pilings, consider the sleek sophistication of black round piling caps and rest assured that your metal , wood or concrete piles look great and stay that way. Black square pile caps make a statement that can only be described as elegant. The perfect accent to any marina, our black square pile caps are suited for concrete, wood and even metal piles. The same great quality as our traditional round pile caps, the white square pile caps are designed to withstand the elements and whatever else comes there way. Pile caps add the finishing touch to your marina and protect piles from internal rot. They are available in black or white with round, square or octagonal caps. 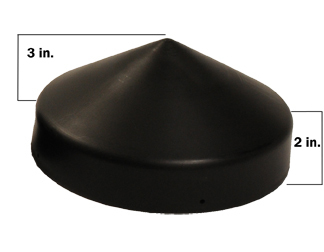 With a 2”skirt and 5” from base to tip, our pile caps add uniformity and improve the look of your marina. Constructed of a durable, UV resistant polyethylene, all of our pile caps are injection molded to retain a uniform thickness. 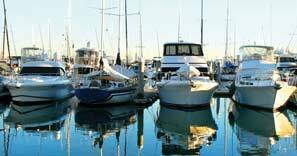 Whether you have concrete, wood or metal piles, pile caps are an easy and affordable way to add style to your marina while protecting your pilings from birds, rot and even weather. Our pile caps are available in a variety of shapes and sizes.